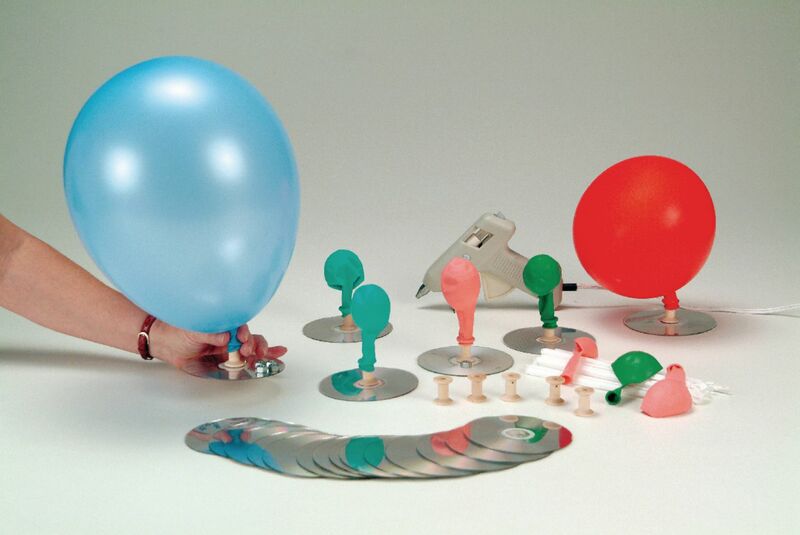 Isaac Newton could never have imagined that upper elementary and middle school students could explore his mathematically derived laws of motion using straws, compact discs, wooden spools, and balloons. Students use these materials and a bit of hot glue to build their own CD Air Gliders. They then use their models to strengthen their inquiry skills while they cultivate their understanding of Newton’s Laws of Motion. Glue gun, teachers guide, student procedure and journal page are also included. Grades 4–8.